Coming at you live from the red carpet! Today marks the day. Hope you’ll tune in and join us! Join us later today for the 38th Annual People’s Choice Awards with host Kaley Cuoco! The event takes place 9 ET / 6 PT on CBS. Join us for the live broadcast of the 2011 Video Game Awards today at 8 ET / 5 PT with “Chuck” star, Zachary Levi as our host! 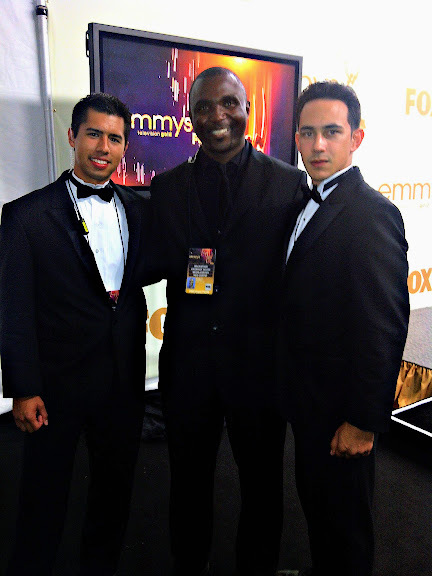 The Primetime Emmy Awards was an amazing event yesterday. Had the opportunity to meet some truly wonderful people. Always delightful seeing the likes of Scorsese, Winslet, Pearce, Dinklage, Hamm, and more.